Puratos India, the subsidiary of Belgium-based bakery, confectionery manufacturer plans to invest Rs 50 crore in the next three years to scale up its operations in the country. Explaining the same, Dhiren Kanwar, Country Head, Puratos India, said, "The plans for India are very aggressive, and we plan to invest Rs 50 crore in the next three years to build two new innovation centers and manufacturing locations in the country." The company manufactures food ingredients and supplies it to core customers that include McDonalds, Cafe Coffee Day, Subway, Dunkin Donuts, KFC, Monginis, Walmart, Big Bazaar and few hotel chains, among others. The company also plans to open one innovation centre in Delhi this year and another in Bangalore next year, apart from its already existing manufacturing and R&D centre located in Navi Mumbai. 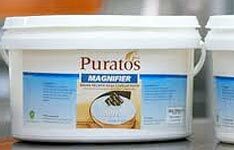 Established in 1919, Puratos has the turnover of 1.4 billion euro with manufacturing plants in 55 locations around the world.